If a trip to the Bahamas is not in the cards this summer, you can still embrace the look of a tropical oasis with a palm or banana leaf print outfit. Or, if you are getting away to somewhere warm and tropical, make sure you match the environment! 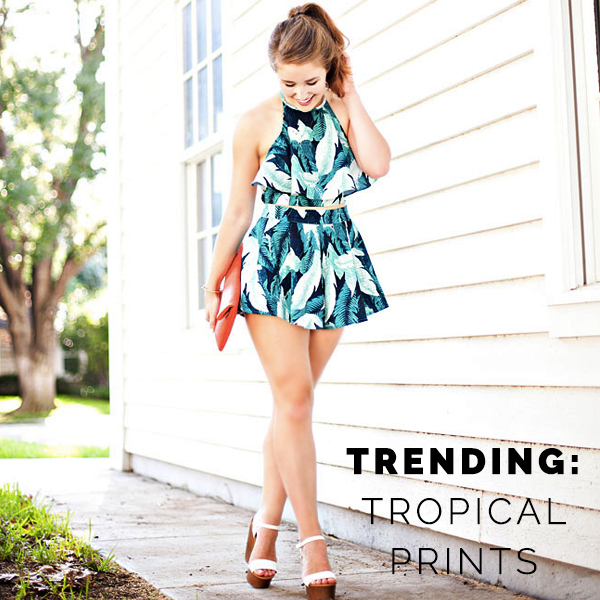 Either way, the tropical leaf print is the print of the summer, and you should be embracing it. I love a good leaf print romper or matching set for a bold statement, but a fun printed top or skirt adds a nice touch of excitement to an outfit. Here are my favorite tropical leaf print pieces! What are your thoughts on leaf prints? Let me know in the comments!